In 2017, lung cancer was estimated to represent 14% of all cancers diagnosed that year. It represents 26% of all cancer deaths in Canada. On the average, 78 Canadians will be diagnosed with lung cancer each day, and 58 Canadians will die from lung cancer each day. Early stages (I &II) represent a local disease that affects the lung and local lymph node only. Advanced stages (III &IV) represent an aggressive disease that spreads locally or distantly. 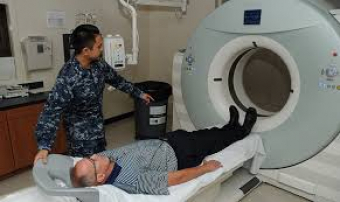 The Canadian Taskforce on preventative health care 2016 recommendation was to screen adults aged 55-74 years old with at least 30 pack- year smoking history using a low dose CT scan on an annual basis. Regular X-ray chest not recommended. As Canadian, you are entitled to do a screening for lung cancer if you fulfil all the requirements for screening program as mentioned above, so call your health care professional if you qualify for this government-funded program to get an advantage of early detection of lung cancer and so improve your chances of cure.